Good News! 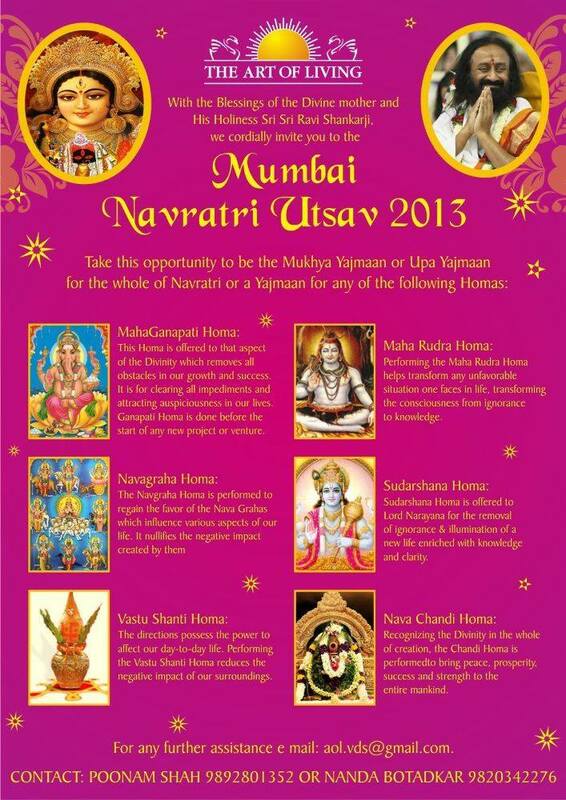 Mumbai Navratri Utsav this year at Goregaon! | Diaries of Swapnil. Good News! 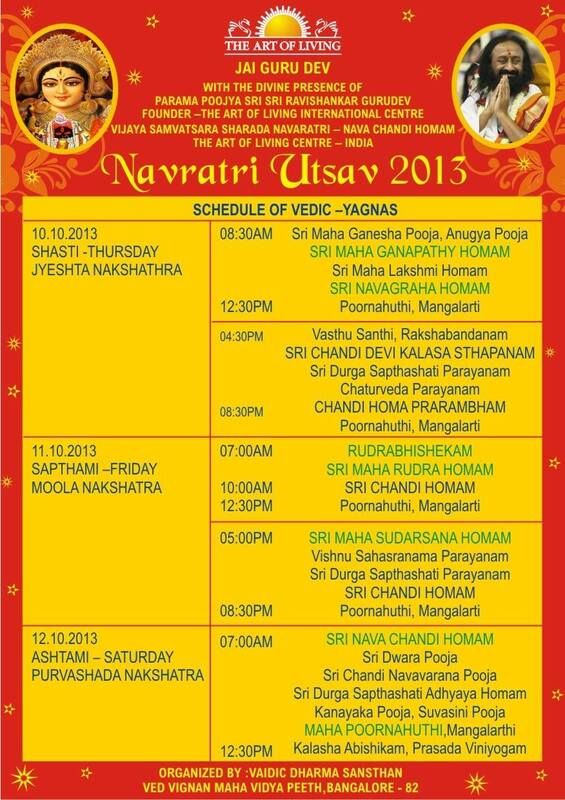 Mumbai Navratri Utsav this year at Goregaon! 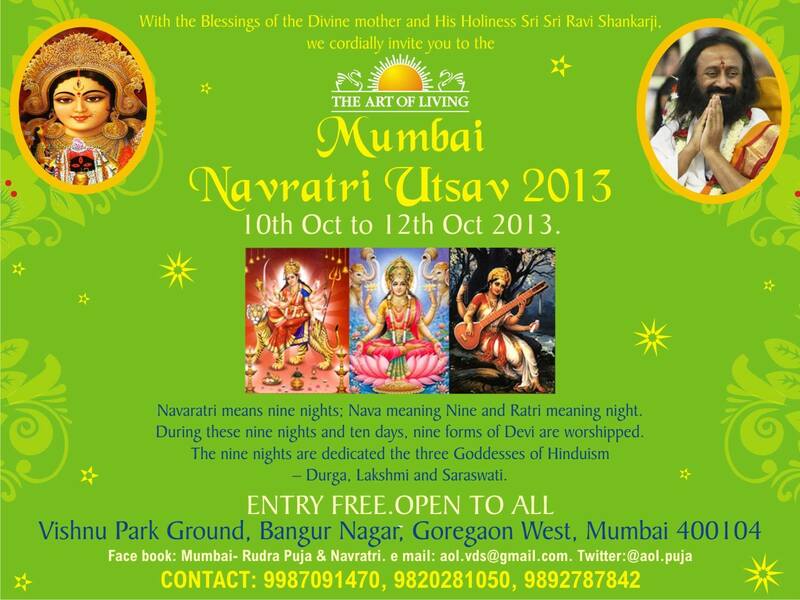 Everyone is invited to The Art of Living – Mumbai Navratri Utsav 2013 at Goregaon. ENTRY IS FREE. OPEN TO ALL. There will be Ancient Homas/ Yagyas that will be performed, Chantings, Satsangs and much more. Do you want to know more about the Homas? Well. Check this out! Do you wish to take Sankalpa for any of the above Homas? Then call up these guys, they will help you out : 98921 76219 / 92233 13356 / 77380 56590 / 98193 11550 / 98691 95052. Oh! you still have questions? Hey, Did you know there is an official page for all the amazing Poojas, Homas and ancient rituals that continue to happen in Mumbai..
And dont miss out on their updates : follow the Facebook page for the official updates on the ongoing activities. Wishing you happy festive times ahead! !